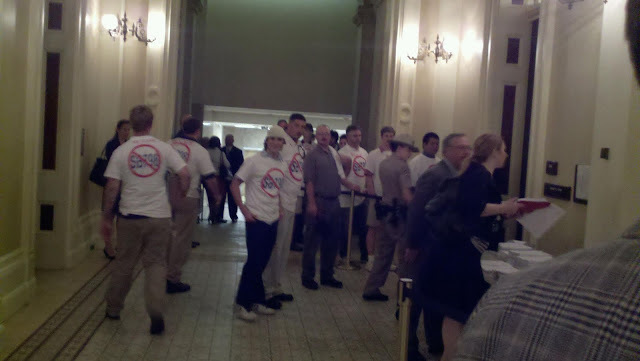 Here's the line of Airsoft supporters to get into the Assembly Public Safety Committee meeting for CA SB 798. Thanks to Jet Del Castillo, Airsoft Director for the world famous SC Viper Airsoft MOUT Facility I've been raving about lately, for sharing some photos with us. 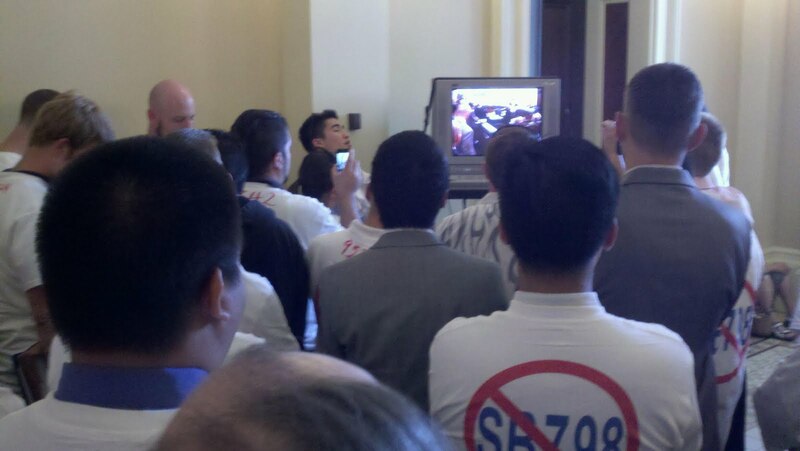 Here are Pro-Airsoft/Anti-SB 798 troops waiting on the SB 798 Decision. Still waiting on that final vote. The more time passes without a vote, the better our chances. The final committee member either needs to vote "NO" or not vote at all, and we win. I like those odds. Word on the street is that Kevin de Leon had a hard time justifying his bill today. It wouldn't be unreasonable to suggest that you bombard the committee member offices with phone calls right now to polity voice your strong opposition. It's a very quick process. I'll keep you posted on the decision as quickly as the information becomes available to me.